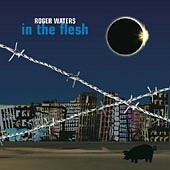 Live recordings from Roger Waters 2000 tour of the States. The album features Each Small Candle - a song from 1999 which is previously unreleased. A "deluxe" DVD is also being released. Management: Marck Fenwick, MFM Ltd. The first stanza is by Danish poet/writer Halfdan Rasmussen. Read the background for the song.